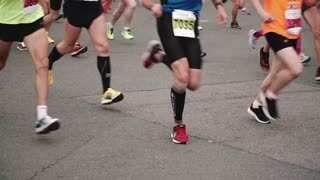 그 뒤에 물결 치는 미국 국기와 레드 점수 판.
SAINT PETERSBURG RUSSIA, JULY 9 2017 - Legs and feet of professional runners in sport equipment at marathon slow motion. 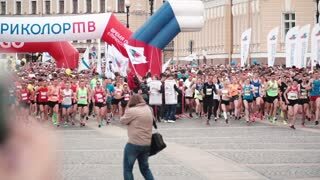 SAINT PETERSBURG RUSSIA, JULY 9 2017 - Start of a big city marathon. 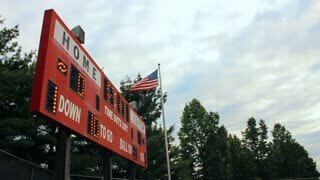 Large crowd of professional runners slow motion.